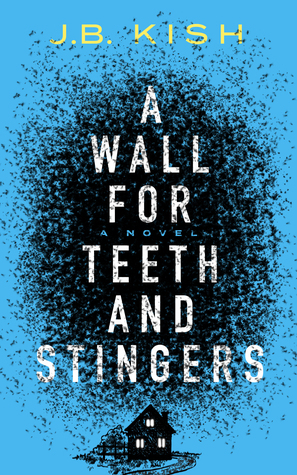 A Wall for Teeth and Stingers Giveaway! Enter for a chance to win one of three signed copies of my new novel, A Wall for Teeth and Stingers! When a swarm of bees begins trapping families inside their homes, four men are forced to confront dark secrets of their past. Driven to the brink, each of them begins turning on his loved ones. Unable to help, the world outside must watch and wait. The news is calling it the lottery of nightmares. With three families now dead, can retired police negotiator Rupert Loren hold his team together long enough to save the last family before it’s too late? Giveaway ends July 02, 2017. A Wall for Teeth and Stingers is ALIVE!